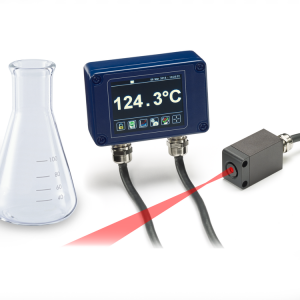 To measure the temperature of glass in industrial manufacturing processes, an infrared temperature sensor should be chosen depending on the type of process, the thickness of the glass, the desired depth of measurement and the temperature range. For example, a 5-micron PyroCube G Series sensor could be used to measure just below the surface of float glass, bottles and other thin-wall glass. A shorter-wavelength sensor such as the PyroUSB 2.2, PyroMini 2.2 or FibreMini could be used where the target is thicker and the required measurement depth is greater. 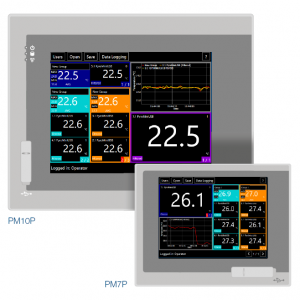 The temperature of the inner furnace walls is also easily measured with these sensors. 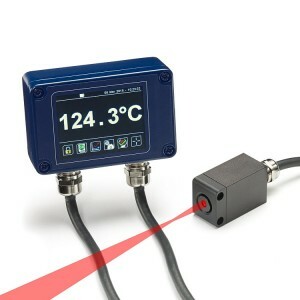 For glass gob temperature measurements, where the target is small and very fast-moving, the lightning-fast response time of the PyroCube G is better suited. 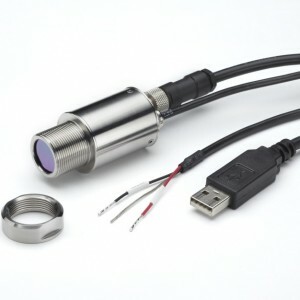 At temperatures below 150°C, general purpose sensors with emissivity adjustment may be used, taking care to avoid reflections of other hot objects.